Many governments impose heavy regulation on Bitcoin with the justification that Bitcoin can and has been used to aid illegal activities. What governments do not say is that that Bitcoin is a medium of exchange that is outside of their control. Given this fact, it’s time to inquire about other motives/agendas that may underlie efforts to regulate Bitcoin and other digital currencies. I developed an index of Bitcoin regulation in 62 countries and correlated it with a well-known index of government corruption in the same countries during 2016. This analysis finds that corrupt governments tend to declare Bitcoin illegal while countries with good governance have a friendly regulatory framework for Bitcoin. Fear of Bitcoin as a trustless, decentralized and transparent transaction network may play a role in authoritarian governments’ distrust of Bitcoin. Bitcoin regulations are rapidly evolving country by country. In some countries such as the US, additional layers of regulations are being imposed at the state level. Classifying these regulations is difficult, but various websites collect and summarize information. Wikipedia summarizes and references current legal developments of Bitcoin and other digital currency. Although limited, these data sources were used to create a Bitcoin Regulation Index (BRI) for 62 countries. The system for ordering Bitcoin acceptance by countries uses a scale of 0-100 with 0 defined as Bitcoin is illegal and 100 means Bitcoin is completely unregulated by the government and the government has deliberately decided not to regulate. Several values also exist between the two ends of the scale. 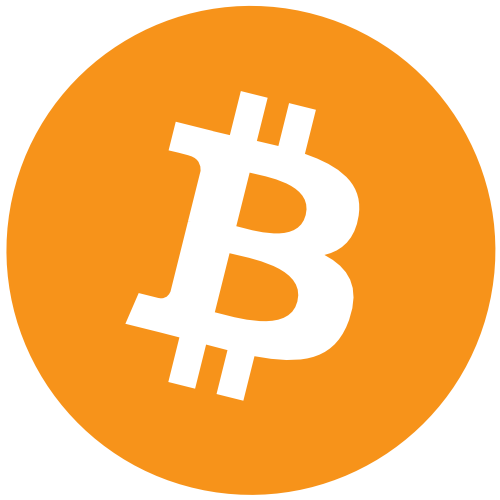 A value of 25 means Bitcoin is legal, but banks and other financial institutions are prohibited from using it. A value of 50 means Bitcoin is legal, but the government strongly discourages its use. A value of 75 means Bitcoin is legal and the government is regulating use in some fashion. Finally, a value of 90 means Bitcoin is legal, but unregulated due to lack of government oversight. The second column for Table 1 shows the BRI for 2016 for each of the 62 countries under. Governance is essential to the general performance of an economy and its components. Transparency International’s Corruption Perceptions Index (CPI) provides one measure of good governance. The CPI is an index which describes the quality of governance annually for many countries since 1996. The CPI describes governance in a country by a number in the [0, 100] interval with 100 reflecting excellent governance. The CPI for 2016 for each of the 62 countries under consideration is shown in the infographics. The correlation coefficient is a measure of the strength and direction of the linear relationship between two variables which falls in the [-1, 1] interval. The correlation coefficient between BRI and CPI for 2016 is .31. "This positive relationship suggests that good governance is positively associated with a friendly regulatory environment for Bitcoin from a global perspective. Inversely, corrupt regimes tend to pursue more stringent regulation of Bitcoin and probably other digital currencies." Given the limitations and qualitative nature of the data sets used, a positive correlation, although not at the strongest level, does support anecdotal evidence of country corruption and hostility toward Bitcoin. Another way to look at the data is to combine the BRI and CPI scores by country to get a ranking. A maximum score of 200 is possible for a country with good governance and a Bitcoin friendly regulatory environment while the lowest possible score is 0 for a country with bad governance and laws making Bitcoin illegal. The infographics shows the rankings of the top scoring countries and the bottom scoring countries. It is interesting that some of the more corrupt regimes on the planet, as measured by the CPI, seem to have found an interest in making an effort to declare Bitcoin, and by extension other digital currencies, illegal. In contrast, countries widely regarded as models of good governance have accepted Bitcoin. Does corruption affect Bitcoin regulations? The limited data available show a positive correlation between a Bitcoin friendly regulatory environment and good governance. This could indicate that the potential for digital currencies and the underlying Blockchain technology may be a threat to countries that rank low in the corruption index, which generally measures the misuse of public power for private benefits. Of course, there could be another explanation. The countries that had the highest combined score also were high-income nations while the countries with the lowest combined score were very poor nations. Some less developed countries may simply not understand digital currencies and the Blockchain and are reluctant to accept such technologies for that reason. If it is true that corrupt governments tend to impose heavy restrictions on, if not outright ban, Bitcoin, then the next question to ask is why? Authoritarian governments tend to either control or ban certain products or ideas that are a threat to their power. Bitcoin, due to its decentralized nature, has an essentially incorruptible ledger. Corrupt governments may understand the potential for a more transparent and trustless ledger to counteract government abuses and so they fear it. The Bitcoin regulatory environment is rapidly changing and the conclusions here are subject to change. There are also some good governance countries that remain suspicious of Bitcoin. The analysis does suggest that governments, where public power is routinely used for private gain, may see Bitcoin and the Blockchain underlying it as a threat rather than a helpful technology.